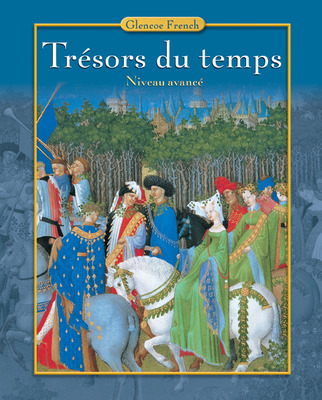 Trésors du temps (Lenard) enables your students to experience more than 2,000 years of French civilization as they encounter the people, places, and events that tell the story of this fascinating culture. From Jeanne d'Arc to Napoléon to Chirac, the entire panorama of French history and culture unfolds in this comprehensive text. Trésors du temps (Lenard) enables your students to experience more than 2,000 years of French civilization as they encounter the people, places, and events that tell the story of this fascinating culture. From Jeanne d'Arc to Napoléon to Chirac, the entire panorama of French history and culture unfolds in this comprehensive text. Each chapter includes advance and review structure skills. Help your advanced students see the connections between historical events and the art and literature of each time period. Writing and speaking skills improve as students discuss the events that shaped each period.